A classic design with contemporary allure. 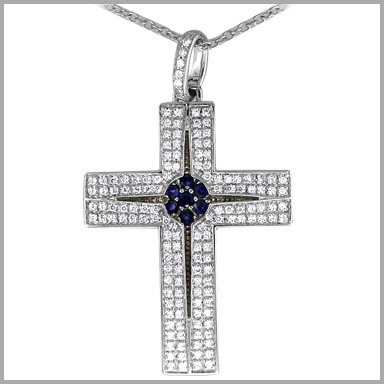 This cross pendant is crafted in polished 14K white gold. It features 136 full cut round diamonds and 7 blue sapphires set in this striking design. 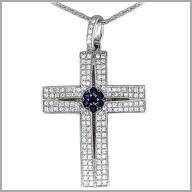 The total diamond weight is approximately 0.884ct and 0.31ct blue sapphires.